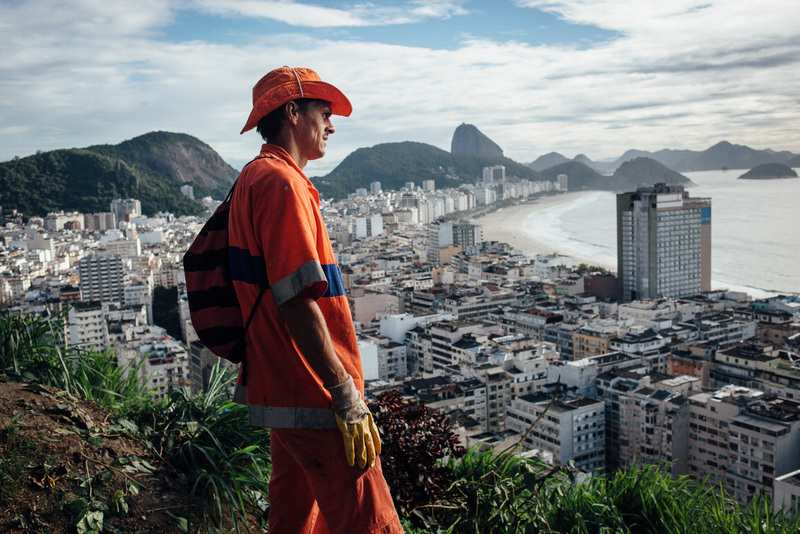 Residency in Rio de Janeiro (Brazil) for « Alliance Française ». 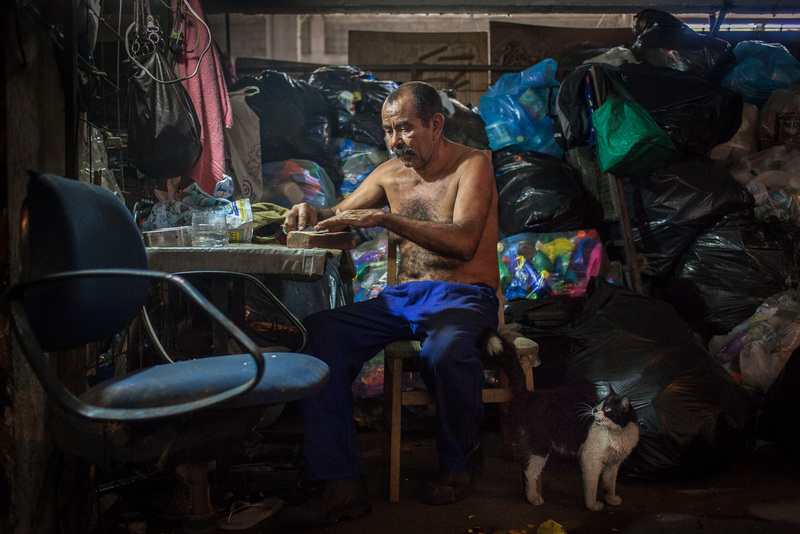 One month documenting the daily life of the « garis », the respected garbage men of the city. 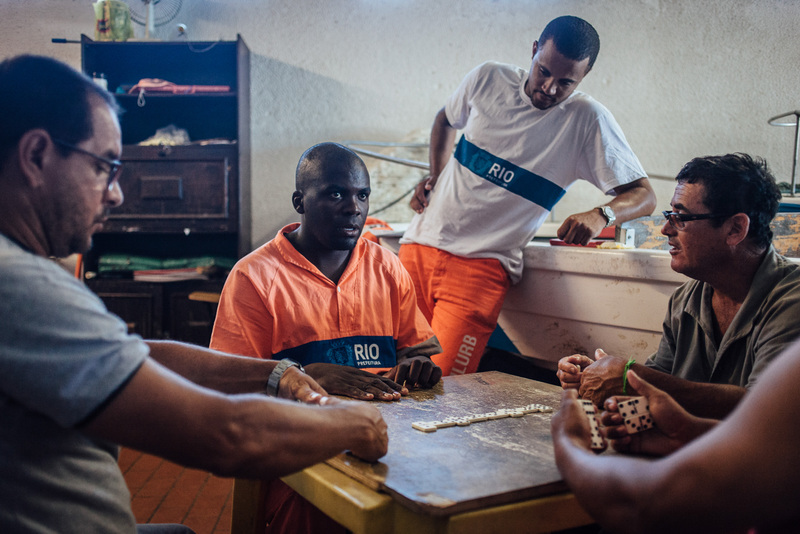 Marcos has been working for 3 years in the favela Pavao Pavãozinho. 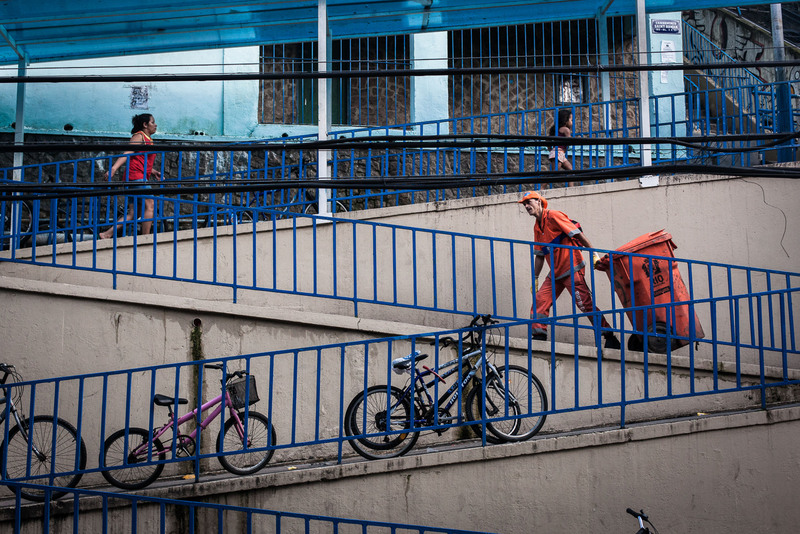 Every day, he must mount plastic bins in the funicular. 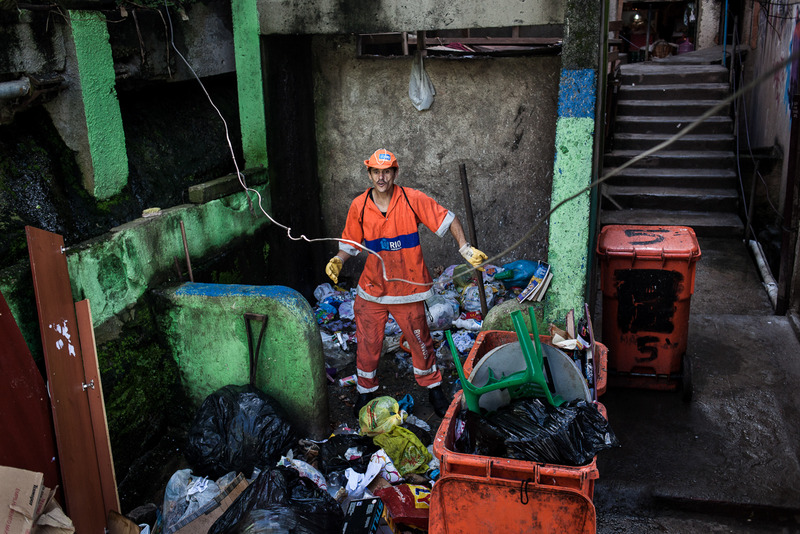 The collection point is at the bottom of a trash chute of several tens of meters in which people throw garbage from the top of the favela. End of the day on the beach in Barra da Tijuca. 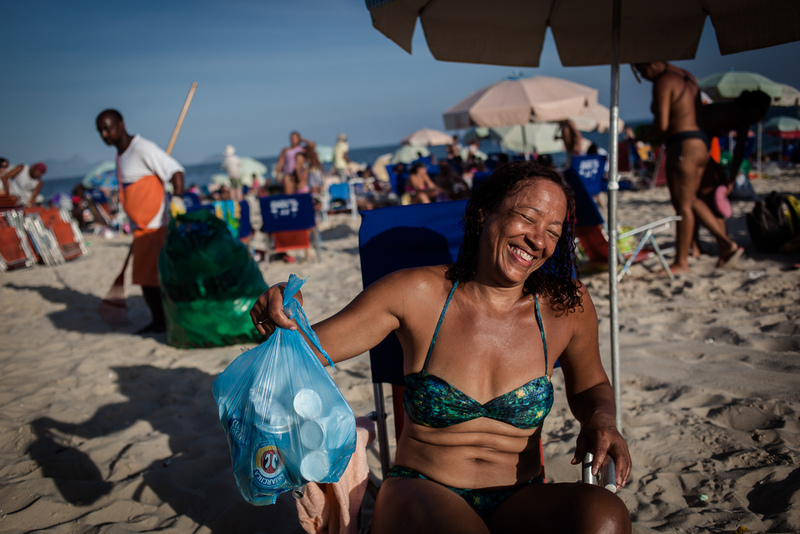 A Gari woman starts cleaning the beach. 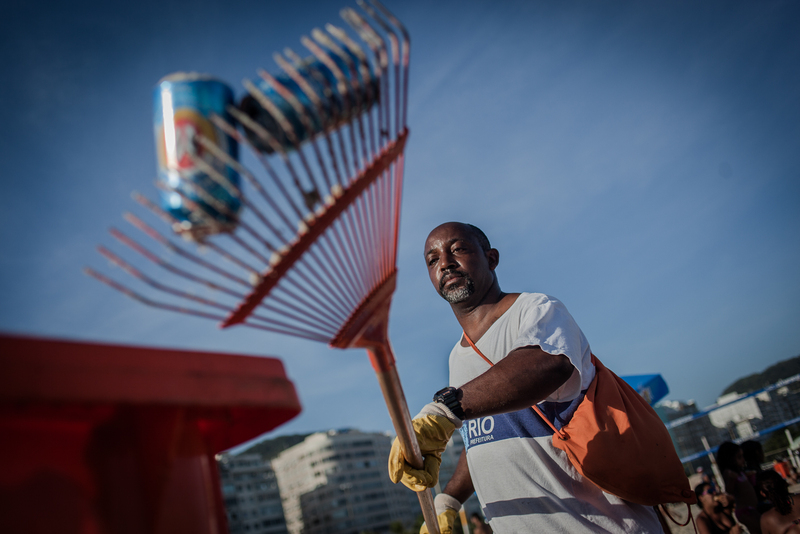 Wilsom has been working for 16 years on Copacabana beach. 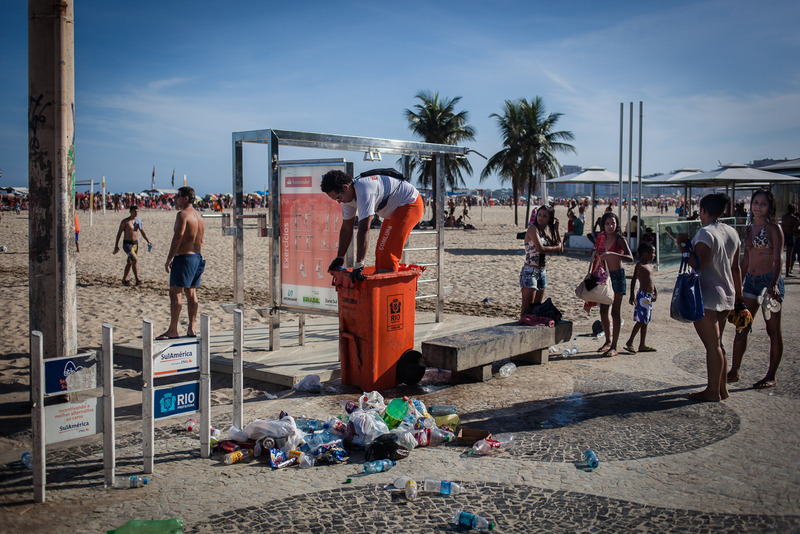 Some residents of Rio even bother to prepare their garbage. 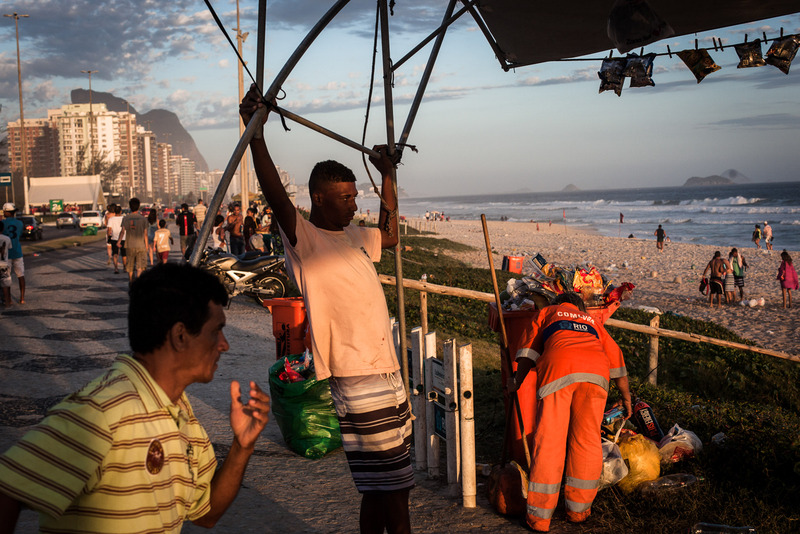 Moment of pause for garis of the lagoon in Rio de Janeiro. 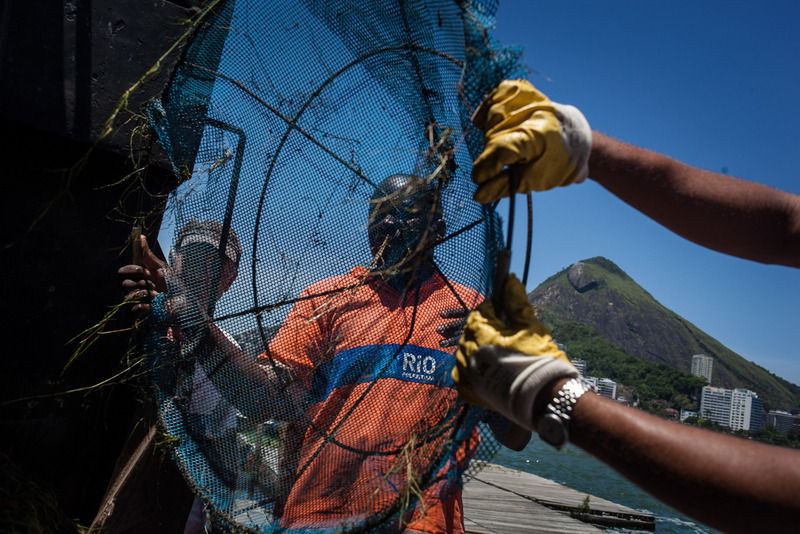 Every day, the garis remove algae from the edges of the lagoon in Rio de Janeiro. Alejandro, 31, is a priest of the animistic religion Codomble. 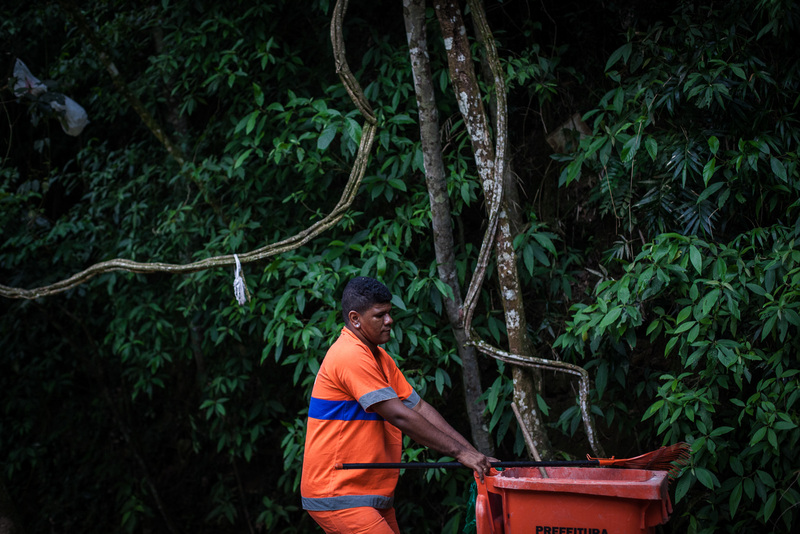 He is the only one who can clean the offerings left by followers after ceremonies on the roadside hills of Rio. 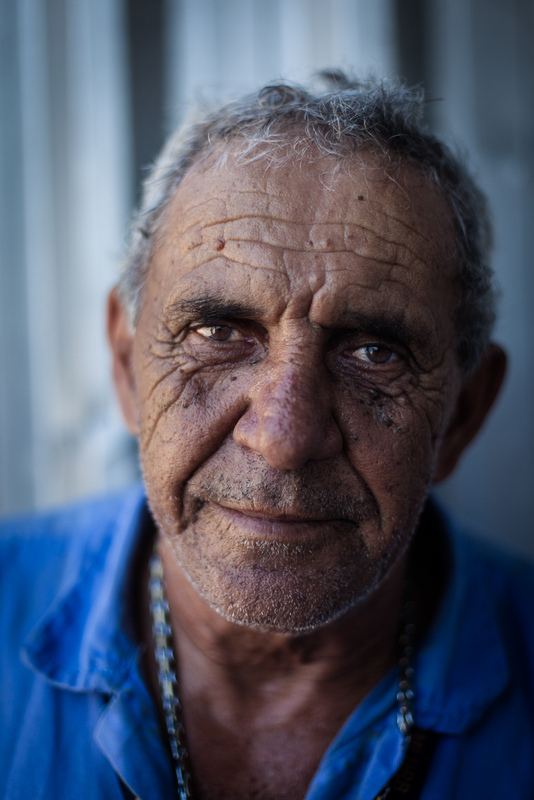 Edir, 69, works at cleaning the port area since 1975. 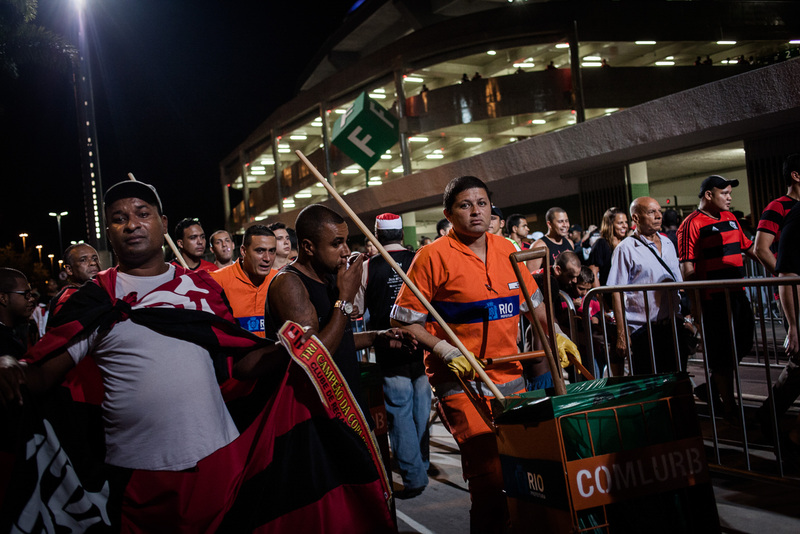 Garis (sweepers) around the legendary Maracana stadium in a match day. Selective collection on the hills of Rio. 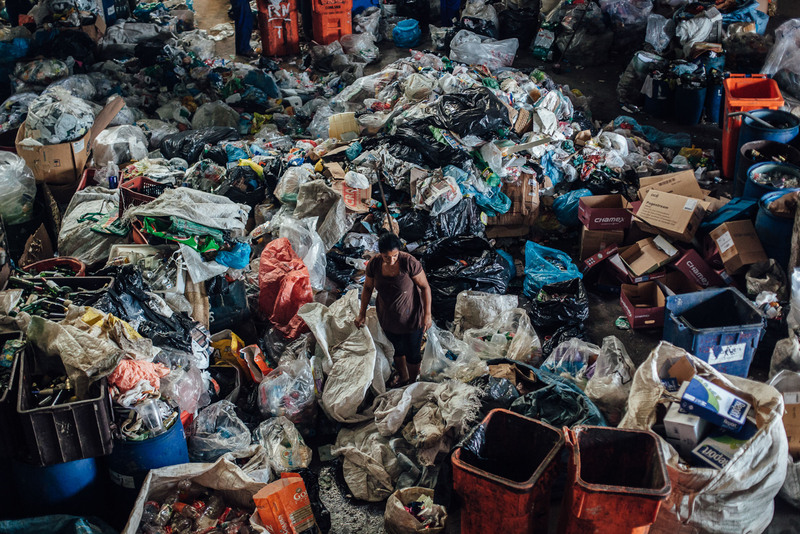 No automated system, the collection is handmade, throwing the bags into the dumpster. Waste from selective collection are sent to non profit recycling facilities. 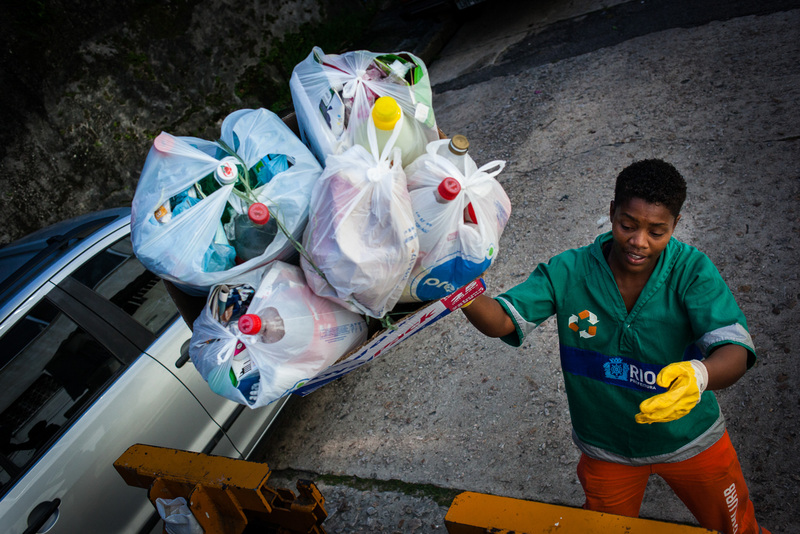 Each person working in the recycling facility sort an average of 300kg of waste per day for 100 euros per month. 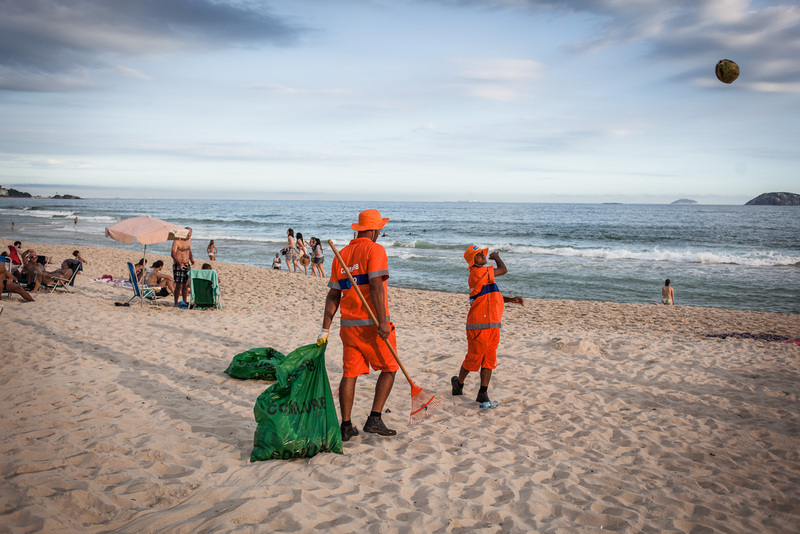 Leblon beach, in one of the most wealthiest parts of the city, the beach must be clean at all times. Night gathering in the West Zone of Rio. 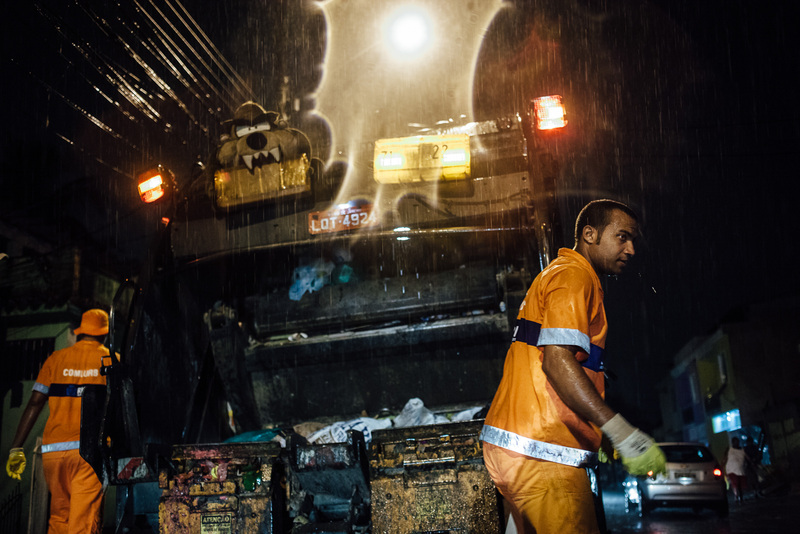 Passing through the streets, garis (sweepers) shout asking residents to take out the trash and hang on their doors.